The ESPY awards took place on Wednesday July 11th and will air on Sunday night July 15th. 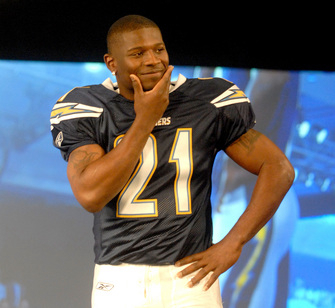 LaDanian Tomlinson was nominated for 4 ESPY awards and won every single one of them. L.T. won Male Athlete of the Year, finishing ahead of LeBron James, Peyton Manning, Roger Federer and Tiger Woods. Tomlinson beat out Bobby Knight, Michael Phelps and Kelly Slater for Best Record-Breaking Performance. L.T. also won the Best NFL Player award edging out Drew Brees, Larry Johnson, Peyton Manning, Jason Taylor and Brian Urlacher. Tomlinson’s fourth and final ESPY award was The HUMMER Like Nothing Else Award. He defeated LeBron James, Michael Phelps, Kendric Smith and Diana Taurasi to bring home this award. 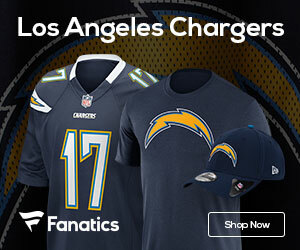 San Diego fans are very lucky to have LaDanian Tomlinson. Not only is he a superstar but he is also a great human being. It is nice to see him rewarded in both of these categories with the 4 ESPY awards, NFL MVP and NFL Man of the Year.